This SK99 Touch Screen Thermostat is a Touch Screen Thermostat, which is designed for electric floor heating system or water heating system. 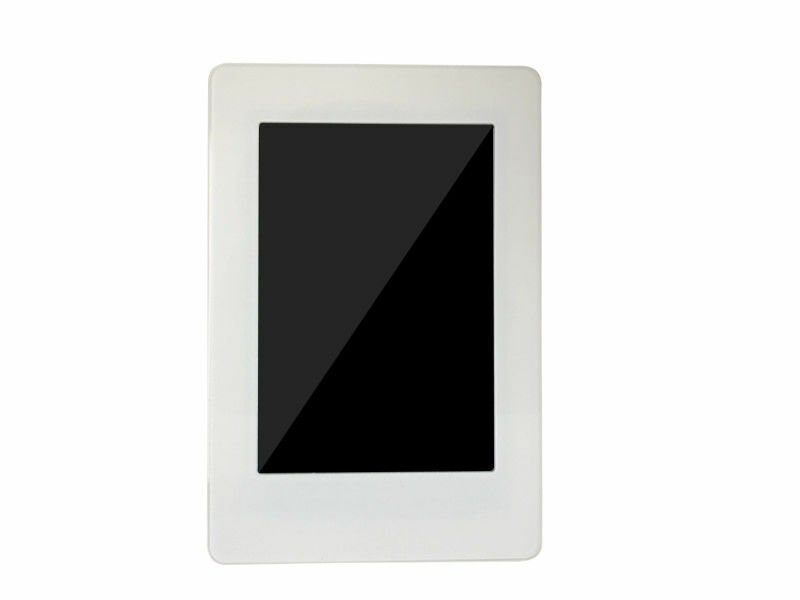 Using 4.0 inch color touch LCD display, the working status can be easily understood. With six modes, the system can work according to your desired pre-set temperature conveniently. And the 5+1+1 days programmable function, which is easy-to-program on/off settings per day. 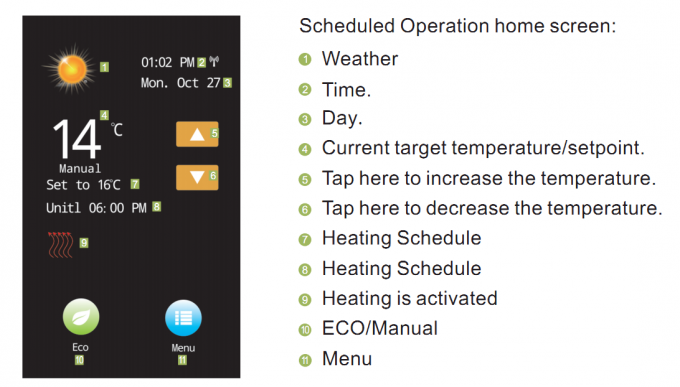 Simple regulation which sends On/Off commands to the heating system according to a pre-selected temperature variation. The thermostat control algorithm includes an anticipation function which reduces the discrepancy between the thermostat reading and the temperature at the centre of the room. Choose from sensor setting: Ambient (built-in sensor)- to control the air temperature; Floor - to control the temperature using the floor probe; Ambient and Floor - to control the ambient air, and show floor temperature by using the floor probe. Enhanced touchscreen security prevents tampering.